Last night Katie, Joe, Bill and I went to the West Des Moines Rock Bottom Brewer’s Annual Crawfish Boil. 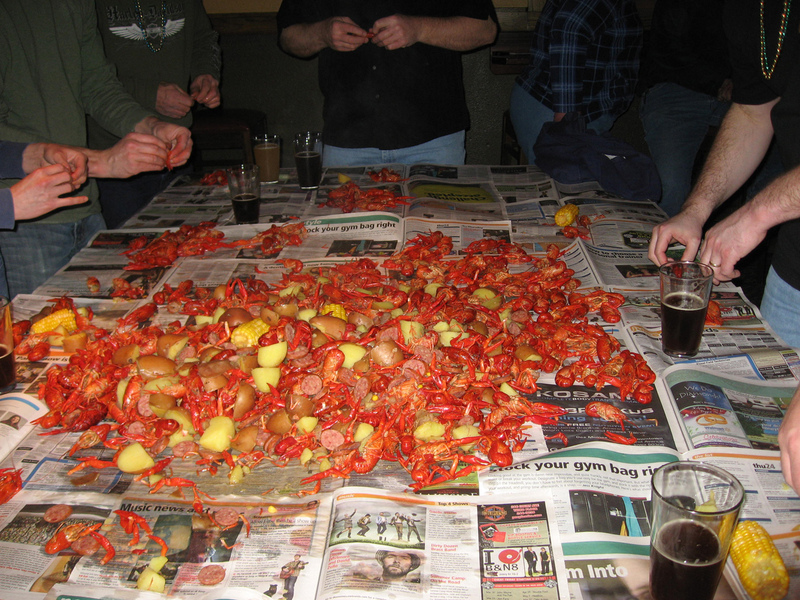 If you’ve ever been in Bayou country you know what fun this is…then again, we’ve ben boiling ’em up for years. 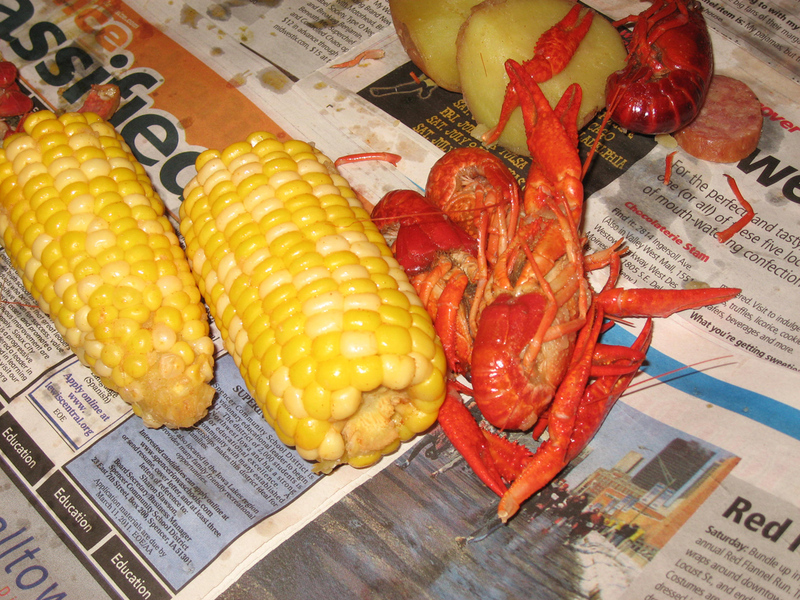 Crawfish, Andouille Sausage, corn on the cob, potatoes, onions and garlic all boiled up together and thrown down on the table for your enjoyment. Wash it down with our delicious craft brews! We’ll feature a pre-tapping Irish Red Fire Chief Ale, Heartland Light Lager, VolksWeizen or Illuminator [Doppelbock]. 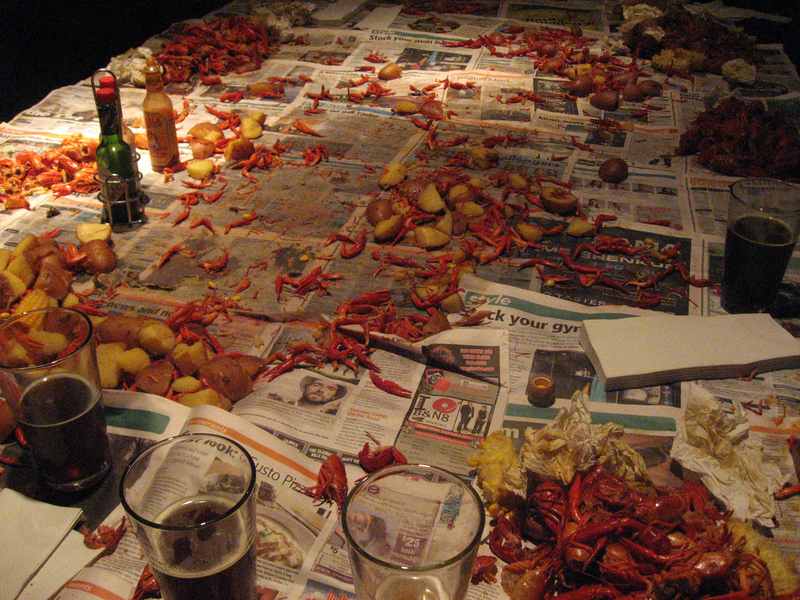 The crawfish concoction was served on Rock Bottom’s plastic covered pool tables. 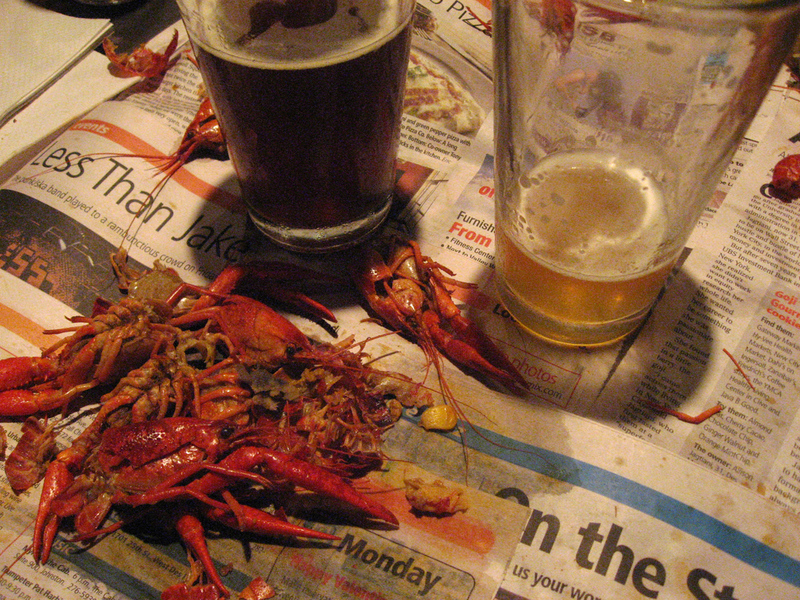 Those in attendance stood around the tables as we cracked open our crawfish, ate and consumed our beverages of choice. There were about twelve people at our table. While we interacted the most with our own tablemates, the evening was fun with hearty cheers throughout Rock Bottom’s pool room. 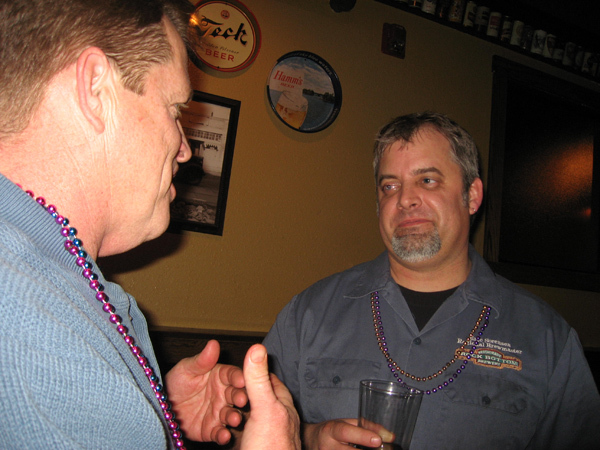 Rock Bottom’s regional brewmaster Eric Sorensen (at right, below) was very personable and conversational as Bill picked his brain about brewing, including tips for growing hops. The dark beer in the photo immediately below is the Illuminator Doppelbock that was tapped just before the dinner. The lighter beer is the VolksWeizen. I liked both beers. Since I figured the Doppelbock had a higher alcohol content, and because a little of it went a long way with me flavor-wise, tonight I leaned more toward the VolksWeizen. This entry was posted on March 9, 2011 at 12:29 am and is filed under Uncategorized. You can follow any responses to this entry through the RSS 2.0 feed. You can skip to the end and leave a response. Pinging is currently not allowed.